I am currently in Tso Pema in the Himalayan region of India studying an advanced meditation practice with a well known Dzogchen Master Lama Wangdor. The practice directly relates to what the Buddhists call the nature of mind and phenomena. Although, at the entry levels, the specific practice methods of Taoist and Tibetan Buddhist vary greatly, the very end practices have very much in common and dovetail. Tso Pema is a major Himalayan Buddhist pilgrimage site. In both China and Tibet, Lunar New Year ( Losar in Tibetan) is a big deal. It is the equivalent to all our religious and cultural holidays rolled into one. Usually during Losar’s this town’s population of 3000 will normally double in size. This year is not normal…it’s a mega-celebration and the population swells to over 50,000. Why? It is in honor of the Fire Monkey lunar birth year of Padmasambhava which comes only once in 60 years. In the 8th century A.D. he brought Buddhism to Tibet after passing through the Himalayan regions of India, Sikkim, Bhutan and Nepal. To get an idea of its importance, here in this very small remote town I have met many Tibetan’s who live in San Francisco or New York who journeyed here specifically for this occasion (it takes a combination of 36+ hours of air and ground travel time to get here from the US). The town’s rhythm is most notably formed by several ongoing factors. Often quite loud, there are continuous Buddhist ceremonies being held with drums banging and bells ringing. This is both in monasteries or temples and by street monks. There are also people doing a “Kora” (circumambulation) all the time which is where they walk around the sacred lake while saying mantras for compassion and enlightenment for all beings. While large numbers of semi-feral dogs bark loudly all night. There is a noticeable non-aggressive demeanor of all the town’s people, Hindu and Buddhist alike. This is something definitely astounding to see in our generally stressed out and aggressive world. And this demeanor is definitely not the case in most of India. The Dali Lama was supposed to come and give a teaching but he was sick. So another important buddhist Sakya Trinzin, substituted instead and did 3 important empowerments. His holiness is head of the Sakya, one of the main sects of Tibetan Buddhism. He is the only remaining major figure of the big 4 who came out of Tibet with the Dali Lama in 1959. Padmasambhava was well known for his super powers. Mandarava his Tso Pema female student and future consort was the daughter of a nearby mini-king. This maha-raj didn’t like his daughter hanging out with a Tantric. So for a full week he ordered Padmasambhava burned alive in the middle of town. Legend has it that that the guru is reputed to have transformed the burning fire into water, creating a lake which is still here. Afterwards the king let him go and Padmasambhava created a Buddhist community of 500 nuns and monks in the caves above the town. It was here that Lama Wangdor spent 25 years in solitary retreat after coming out of Tibet. I’ve been coming to Asia for over 40 years, both to study and meditate, it can be a truly magical place. This time I am here for a little over a month in Dharamsala, Tso Pema and then China. Now in this year’s State of the Tao, you’ll find some thoughts on the energy of the year, the speed of time and a review of what events and product releases we have in the Energy Arts community this year. Every year has a specific energy that when combined with your personal energy influences you in both subtle and not so subtle ways. The year of the Fire Monkey means a lot of high energy. This translates to opportunity for you in business and quite frankly any area of your life. It is a great year for you to manifest and get things going. Start a new practice or restart an old one. Determine how and where you want to direct your energy consciously. Being in a Monkey year favors you if you can develop the ability to adapt quickly to change, embody flexibility and make big leaps into the unknown. Taking big risks can provide big rewards. The Monkey can be a mischief-maker, and those with the ability to step into this quality will be successful. This is not a year to sit at home and move slowly. But things might not be as planned…expect the unexpected. Keep aware for things that will come into your field that may be out of the ordinary that arrive to help you. In fact, the extraordinary may even show up to be of service. With any kind of fire element energy, one of the dangers is that fire rises and goes to your head. Make sure you stay grounded, not occasionally, but as a regular practice. Get in the water. Take a salt bath. Put your feet on the ground. Use your breathing to drop your consciousness into your lower tantien in your body. When the fire energy gets too emotional, be careful to cool it or it could erupt and it will not be good for you or those around you. We have also heard of the ‘monkey mind’ that jumps from one thought to another in an endless cycle. Make sure you use meditation to calm your mind and to use the energy of this year in a directed manner focusing on what is important and letting the rest go. Time is speeding up. Both good and bad are occurring at more rapid speeds. There seems to be lot of good intellect and intent out there, but the truth is that functional and spiritual human advancement seems to be lagging, so it is important that our hearts catch up with our minds and vice versa. We could be very easily moving into what externally could be dark time. The energy of War is moving toward Europe. Pressure is building up in China and the rim. The world’s population is increasing with no real consciousness about the effects. Anxiety is going to keep increasing as the speed intensifies. The truth is the world is going to do what the world is going to do. Now is the time to find out what is inside of you and deal with it. By truly centering yourself you have a greater effect than you can imagine. Focus on your spiritual progress. Find the deeper places inside yourself so they become stable and at ease regardless of external situations. For many years I was constantly being asked to teach the I Ching – Book of Changes, the classic guidebook in Taoism. I have always said that it would take me a minimum of ten years and would require a retreat center. To learn and embody the I Ching is not a weekend workshop it is a multi-year training…my hope is that someday I am able to make that happen. The other main text people often asked me to teach was the Tao Te Ching. This I saw as something of a much more reasonable project. The Tao Te Ching is also a teaching text because each verse is coded with wisdom from Taoism. Unfortunately most if not of all of the current available translations of the Tao Te Ching are written by scholars of Taoism NOT actual practitioners of the Taoist Energy Arts. Five years ago with the above consideration in mind I partnered with my student Dr. Alan Peatfield, and now I am happy to announce that we just finished the last chapter of a new version of the Tao Te Ching. It was a multi-year project to complete our own translation, an audio meditation teaching and a practice meditation session for each chapter. The next step is that Alan and I are going to write a book with this material about what it is all about — not just a philosophical text but rather a practitioner’s guide. I am excited about this and think it will help people understand the inner workings of Taoism and the Taoist Energy Arts. Traditional meditation is a multi-part journey. Its purpose and power is to bring about inner peace, happiness and complete spiritual awakening. Which should create compassion for oneself and others, or as the Dalai Lama says “My religion is Kindness”. It begins by clearing the mind and body of your current accumulated stress. Then cuts the roots of what causes you to habitually accumulate any form of stress. Part of this is releasing the deepest residual traumas within, regardless if from youth, war and other severe negative conditioning. Meditation then alters your internal landscape until your normal state can have emotions and thought patterns that are balanced and stable with minimal or no pain. So then, with meditation as an amplifier, you can increase and be easily able to share your inner love and compassion with yourself and others. Because, without this strong base which meditation creates, a person can’t find within a continuous, never ending source of happiness. A gentle or exuberant happiness that does not require justification derived from external causes or events. So you can be happy regardless of external pressures. For without a stable source of inner happiness, peace of mind can’t become stable within us. Complete spiritual awakening is tricky to talk about and even more difficult to achieve. It took the Buddha the arduous journey of 10,000 lives to achieve it. Taoist say to arrive you have to be completely able to understand all and be one with the entire universe, in all times, places and dimensions. In the view of serious meditators there is nothing more valuable than enlightenment. It is the only place that true peace, happiness and ultimate spiritual awareness can be found. The only question to ask is, “How will I make meditation part of my life this year? We are also on the home stretch of teaching the Old Yang Style Tai Chi form. This is one of the most comprehensive teachings on this subject that has ever been done with over 50 hours of video going into every aspect of the form. I did this program to be of service to those who want to practice or are currently practicing the Yang Style form and to bring forth precision on how this form was done both mechanically and energetically. I think anyone who practices Yang style will find the information in this Circle is not widely known or taught. If you were not part of the original Yang Style Tai Chi program we will be starting a new group very shortly for anyone that want to have access to this special course. We also are going to be launching a new Circle in the Fall with a focus on Standing Qigong and Taoist meditation. 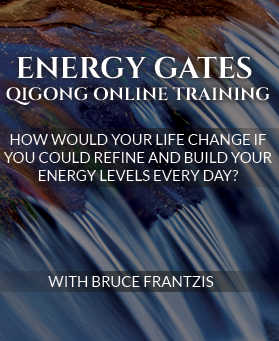 It will present Standing Qigong in a very systematic manner and you’ll get teachings that I have never shared before. This is the 7th or Mountain Palm Change of Liu Hung Chieh’s circle walking bagua system. Besides having the qi development and fighting techniques of bagua as an internal martial art, it also includes important elements of the Taoist monastic meditation tradition of bagua. Join us for a two day Dragon and Tiger Medical Qigong workshop and special evening course on Taoist Longevity Breathing. The superlative tai chi system taught by Yang Lu Chan (founder of the Yang style) and his two sons is called the Old Yang style, which is rarely available in modern times. It is this Old Yang style of tai chi as taught and passed on by Yang’s sons that Bruce will teach during the course of this workshop. He learned this style in depth over decades of study in China. All the moving and standing qi practices of qigong and the internal martial arts of tai chi, hsing-I and ba gua originated in the 200 standing chi practices of Taoist qigong. Standing qigong is a powerful method of training the mind and body, teaching the practitioner to relax, let go of tension and open up the whole body while holding a variety of arm postures. This course will explore in a practical way what individual postures do and how do they do it. Performed for 4,000 years in Taoist monasteries in China, the single palm change is the foundation of the bagua system for health, martial arts and meditation. Vigorous and aerobic, with spiraling arm and torso movements and frequent changes of direction, the single palm change promotes flexibility, grace and the ability to move unpredictably with lightning speed. Circle Walking develops health, power and meditative focus and enhances other internal practices on many levels. 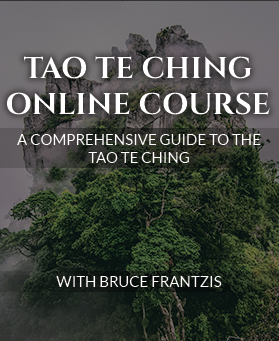 For the first time ever I will publicly offer this advanced Taoist meditation course. This essential Taoist practice is mentioned by Lao Tze in the 2nd half of the Tao Te Ching (Dao De Jing). It is the necessary prelude to awakening the internal psychic senses and a powerful method to enable you to gain access to and safely navigate your inner world. Within Taoism the practice of sealing the senses is the key method used to protect and cultivate emotional, mental and psychic awareness and capacity. In closing I hope to connect with you in person and online this year. Thank you again for taking the time and effort to learn and carry forward these Taoist Energy Arts with me. I have gone through many changes in the past 3 to 4 years and had to start again after 16 years of marriage. I then decided to pursue and do the things I love. I studied Tui Na massage on a foundation level and a Masters course. I’m currently studying for my Acupuncture too. Through my teacher I hope to gain some clinical experience in some hospital’s in China. The reason I embarked on these studies was to further my knowledge of Bagua with yourself and be able to attend more retreats with yourself to put the Qi gong into the Acupuncture and Tui Na massage. I was the breadwinner for 15 years prior to my divorce and now wish to move forward and progress in the energyarts from this year onwards. Great to read you post and the news for the year! Also exciting as always to hear you projects and what you’re doing. Hope you a happy year and hope to see you one day! Thank you for your untiring dedication to bring the Taoist Way to us all. I deeply appreciate what I have learned studying and practicing Dragon & Tiger, Opening the Gates and meditation. Thanks Bruce for this teaching, as always, right and right on time. What an amazing opportunity there in Tso Pema, please take care and get home safe. All the best to Lama Wangdor as well. May all beings be freed of suffering in all realms and the 10 directions, may Bodhicitta arise and increase within me. May I also, while I’m at it, finish this very challenging and deep 5 Keys course…lots to do in this year of the Fire Monkey. Hi Kumar, Enjoyed the blog. Very informative and spiritual. Will try to see you in Bethesda. I moved to the East Coast in September. Thank you, Tso Pema sound awesome, compared to the dome and gloom and suffering on the news each day here in Europe. The Fire Monkey year has started to change my life, and hope it can change the lives of others for the better. Stay safe. Jean. For the Ibiza training, where does it take place ? Sta Elulia, ok, but where exactly ? Are you still planning to release the BMP this spring? If so approximately when? How many hands do you plan to include in the program? Thanks for your interest, Ron. The re-release date has been pushed back to June. The original program includes the 2nd and 3rd palm changes and we do intend to release more, but cannot say how many more at this point, in June. Eventually, we hope to have all of the palm changes released. It is such a blessing to visit Tso Pema! It is dream destination for me and many of the readers here. As for the Monkey Year, let’s hope that those energies will bring changes to our world. This post is so informative, bookmarked for further reading. Wishing you all the best! Thank you for sharing this amazing article which is really fun to read. A;though I am Chinese myself, it is very hard to comprehend these mysterious stuff. Hope to learn more from you. I am also joined a Chinese Martial Arts School that is teaching Qigong and Tai Chi.